The Hauser PTO’s Annual Pasta Dinner is tomorrow. Still time to buy your tickets! Hauser PTO’s Annual Pasta Dinner will be held tomorrow Tuesday, February 12th from 4:30pm-7:00pm in the Hauser cafeteria. 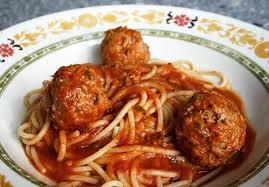 Bring the whole family for pasta with sauce and meatballs, salad, fresh bread and homemade dessert. The cost per person is $7.00. Fifth graders (with a paying adult) and children under age 5 are free! Tickets will be sold at the door . Click on the CheddarUp button below to pay on-line or return the attached form to pay with check or cash. Come to the last regular season 7th and 8th grade basketball games – starting at 4:05pm in the gym and stay for dinner! Shop all night long at Hauser’s Scholastic Book Fair in the Hauser Library!